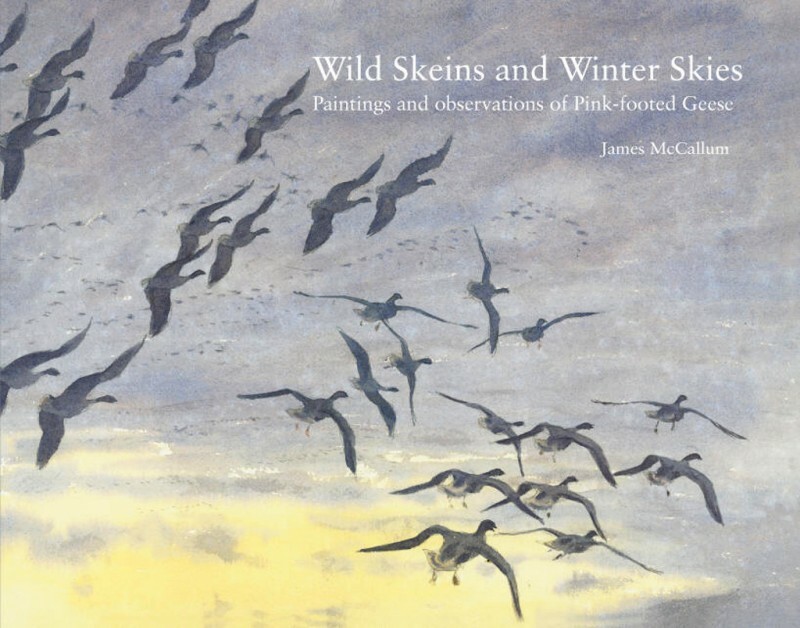 Wild Skeins and Winter Skies explores, in paint, the lives of pink-footed geese. 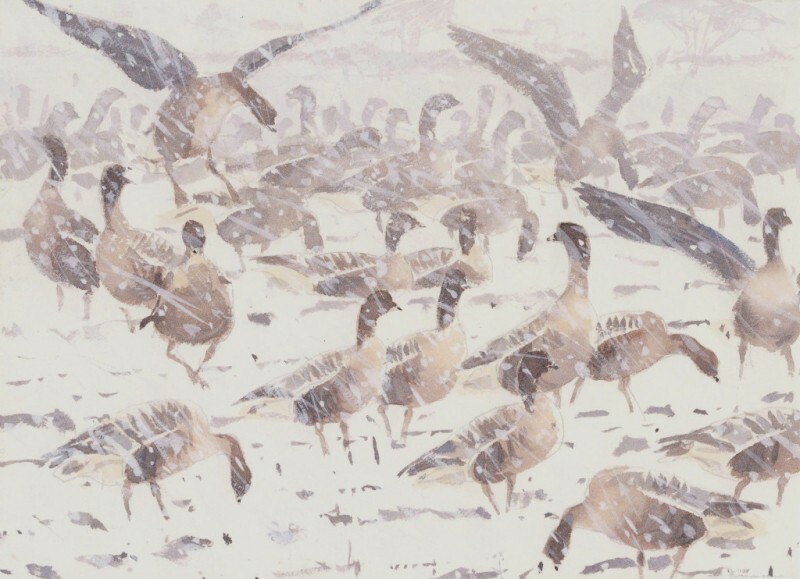 Over ninety paintings, each painted outdoors, depict many aspects of the birds’ behaviour and show them in an array of weather conditions. Short notes add additional detail to the images and help evoke a sense of ‘being there’. 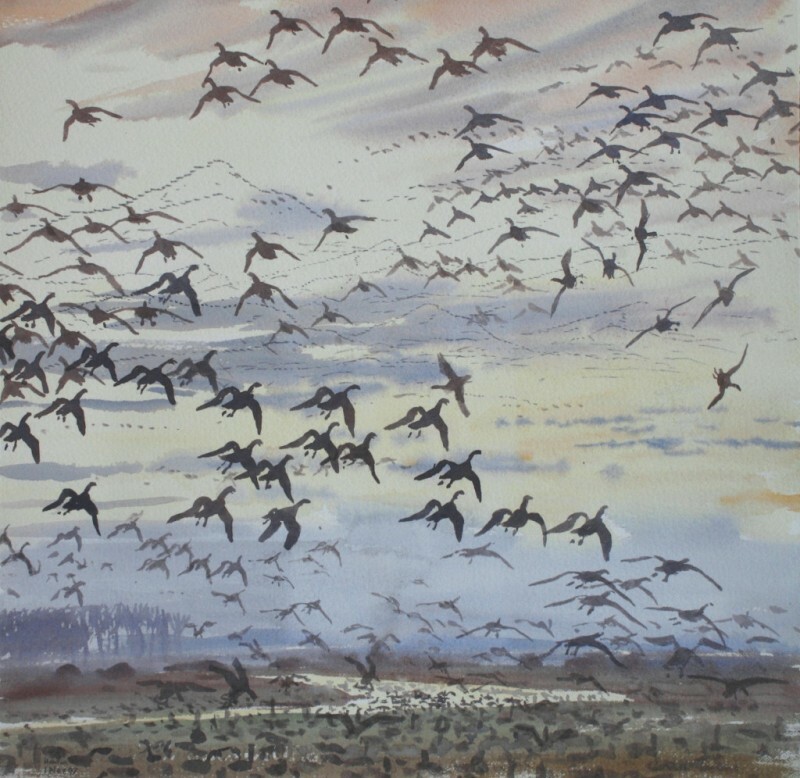 In further chapters the artist describes his approach to painting from life, shares accounts of memorable days spent watching geese and explains much of the birds‘ behaviour. This knowledge has been gathered over the last fifteen winters and represents hundreds of hours of field observation. The combination of acute observation and artistic skill provides a deep insight in to the lives of these wonderful birds. 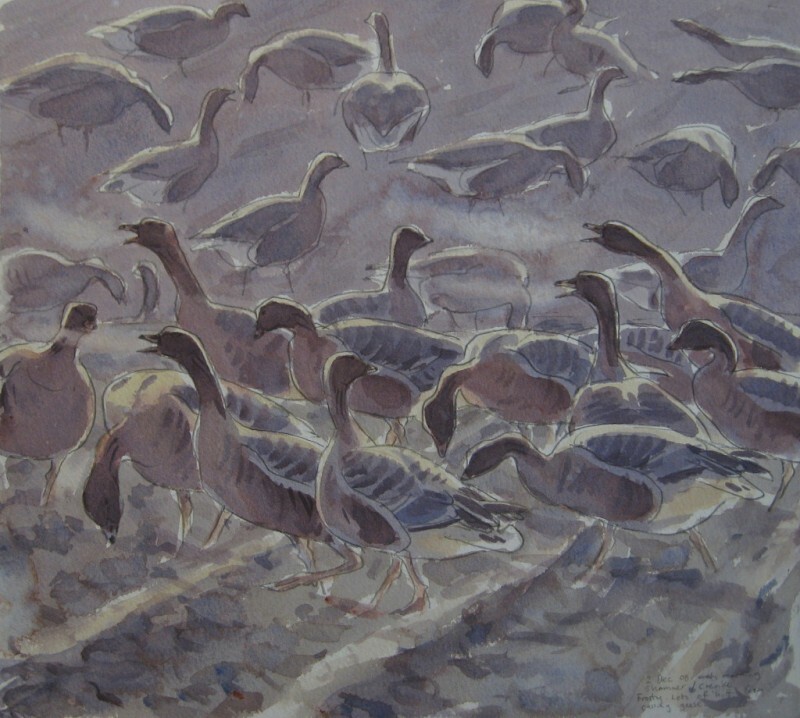 There are chapters explaining the behaviour and habits of the geese and another describing the artist’s approach to painting the wild geese outdoors from life. Short texts accompany each painting giving further insight into the situations portrayed. The foreword is by the late David Guy Measures. David’s work and approach to painting has been a great source of inspiration to me. He is probably best remembered for his beautiful studies of butterflies. 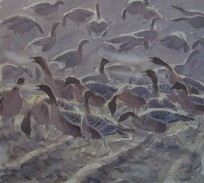 Some of his exquisite field paintings have been reproduced in two books ‘Bright Wings of Summer’ and ‘Butterfly Season’. 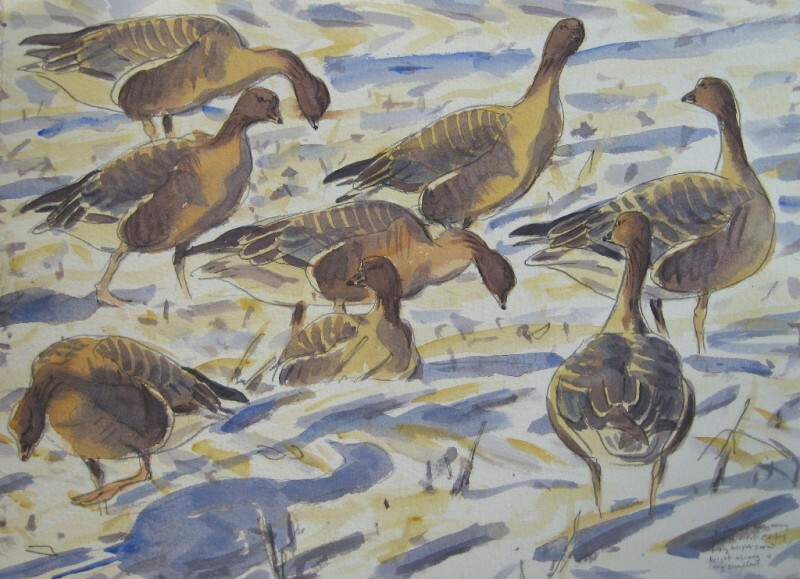 This I feel is the supreme result of all his unstinted effort to focus on one species, the Pink-footed Goose, and capture it in paint. As a painter I’d like to point out my feelings of his achievement. By using a minimum of landscape he familiarises us to the specific notion of farmland. Artistically the close up of heads, bodies and wingbars form the most satisfying of patterns; so do the repetitive features of farming. 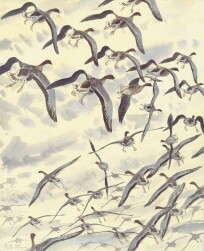 Then by using the limited colour of the overwintering Pinkfoot there is stability to the succession of pages. These are enhanced by introducing of other species occurring within the flock. 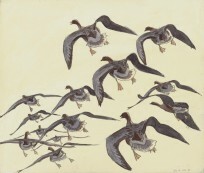 There then follows a group of pages showing the Pinkfoot’s near nil response to weather. 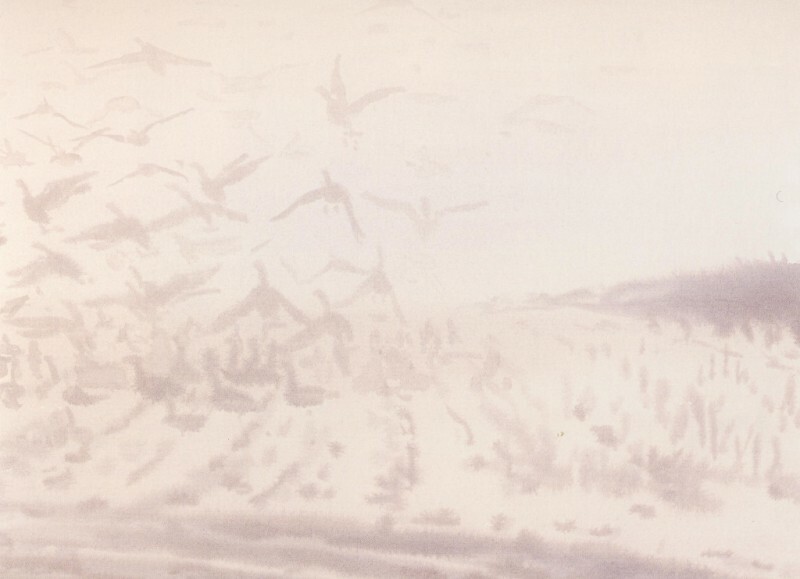 James provides a superbly real experience of snowing whilst at the same time never once allows a less than perfect portrayal of goose after goose; an inspiring feat! 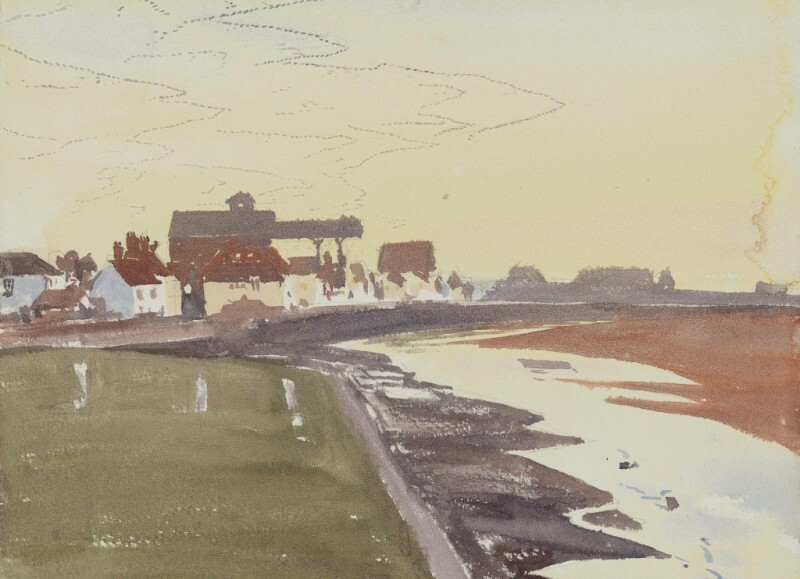 As a painter I feel that James has reached a height of production rarely attained by anyone else in his field. The melding of subject to the act of painting outdoors where the two have fused – have become inseparable. 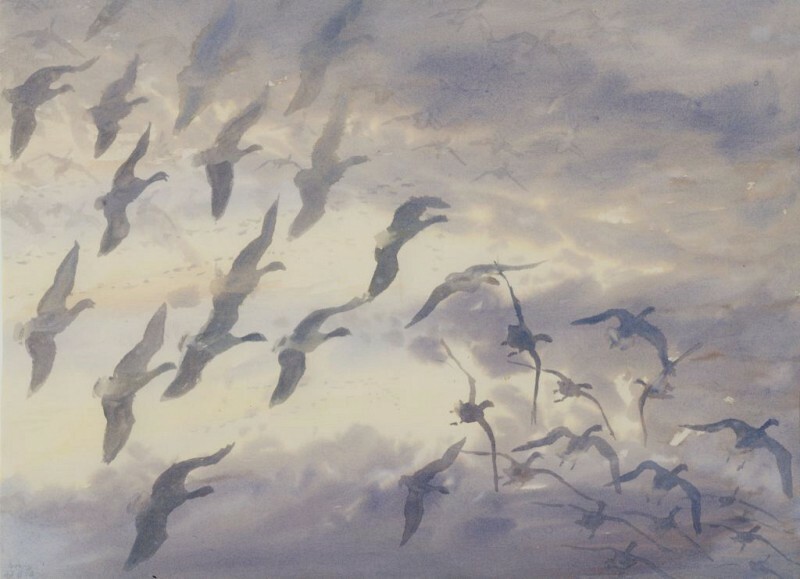 His easy painting style brilliantly captures the geese, as they go about their daily lives in all weathers, day and night. Combined with written observations, this is a delightful book for anyone who has been captivated by the Pinkfeet. 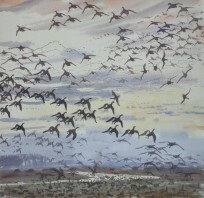 You can almost hear their calls, and imagine their feet ‘puddling’ on the muddy beet fields. First 50 copies form a Limited Edition. These are Full Leather-bound with a gold embossed design of geese on front cover. 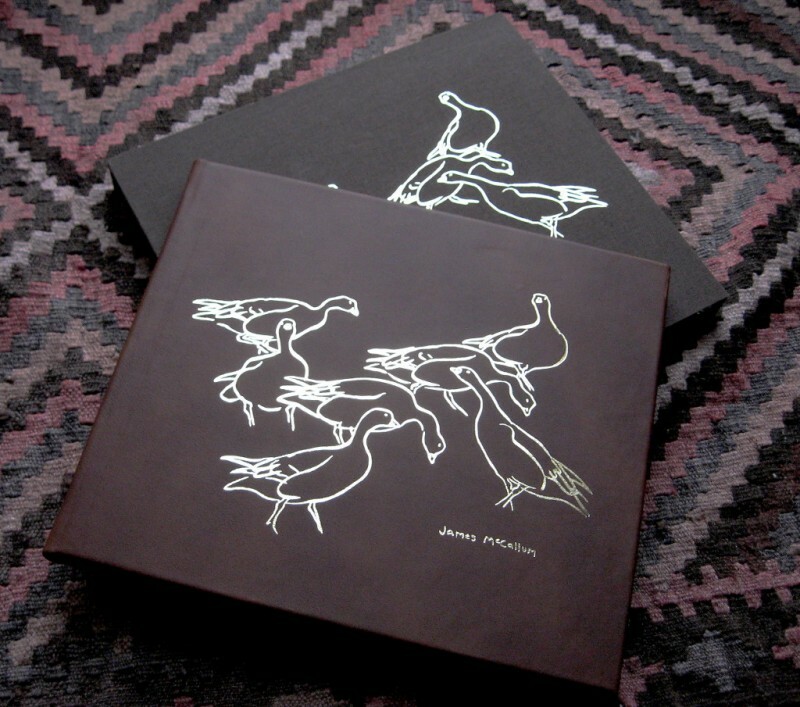 The book has its own slipcase with the same embossed design. Each copy is signed and numbered and features a small original watercolour sketch. 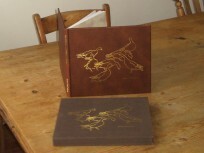 Remaining 1450 are hardback with a full colour dust jacket. 28cm x 24cm, landscape format. 104 pages, full colour throughout. Full colour endpapers with different images front and back. Over 90 full page paintings and additional colour vignettes.